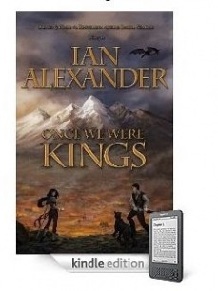 Be drawn into an epic battle of good versus evil in a world of shape-shifting spirits, deception, and powerful forces in ONCE WE WERE KINGS by Ian Alexander. Render is a mistreated orphan from the Kingdom of Valdshire Tor. He escapes his life of slavery to seek his true identity and stumbles upon conspiracies. Ahndien is the sole survivor of a heinous raid on her village in the Eastern Kingdom of Tian Kuo. She sets off in search of her father, who has been captured by Torian troops. Both discover abilities they never knew existed. Neither realizes their destinies are entwined. They meet as enemies, but soon discover they have been called to unite their kingdoms against a powerful enemy that threatens to destroy both realms. I’m not a huge fan of fantasy novels, but I saw this book reviewed at Life in Review in May, and I knew I had to have a copy. Render and his brother Kaine are orphans who live as slaves for different masters; so Render feels alone much of the time. He wants to know more about their parents, but Kaine isn’t too keen on sharing. These boys are plucked out of slavery and brought to the Citadel, where Render finds more than he bargained for: like preternatural powers that allow him to wield the destructive forces of nature. Ahndien, is a peasant girl living with her family–father, mother, and younger brother. While she is in the woods, her peaceful village is attacked, killing everyone. This pivotal moment will change Ahndein’s life forever. With the help of Lao-Ying, she discovers she can manipulate fire. They make haste to the Sojourners Council, but are hurt and angry by what they find. When Render comes along with his group–his cat, Greifer and Branson, the bratty son of Lord of Argon–Ahndien is quick to assume the worst of those who live in the opposing village. The influence of C.S. Lewis is clear throughout ONCE WE WERE KINGS. As I was reading, I couldn’t help but think of Narnia. Not that the stories are so similar, but there were moments as the plot unfolded that reminded me of the feel of these classic novels. Valhandra is like Lewis’s Aslan. As I got to know Branson, he reminded me of the Pevensies’ annoying cousin Eustace. Readers of the Bible will find passages that feel familiar as Valhandra speaks to Render. My only tiny pet peeve in an otherwise perfect young adult fantasy novel, is the use of a third person omniscient point of view. Now, I’ll admit, this is my personal pet peeve, so it’s nothing to do with the book itself. 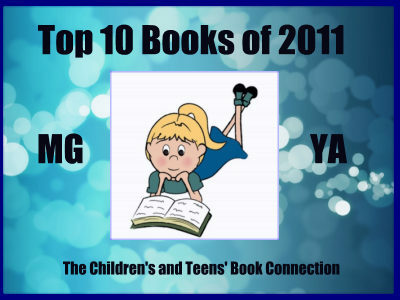 This is a fast-paced, action-filled adventure story that will draw in older teens and adults alike. Using this point of view, however, pulls me out of the story when the narrator tells the reader something a character doesn’t see or know. I could easily see ONCE WE WERE KINGS on the silver screen. It’s outstanding! Lovers of this genre won’t want to miss this one. I received a mobi version of this book from the author in exchange for my honest opinions. I received no monetary compensation of any kind to provide this review.